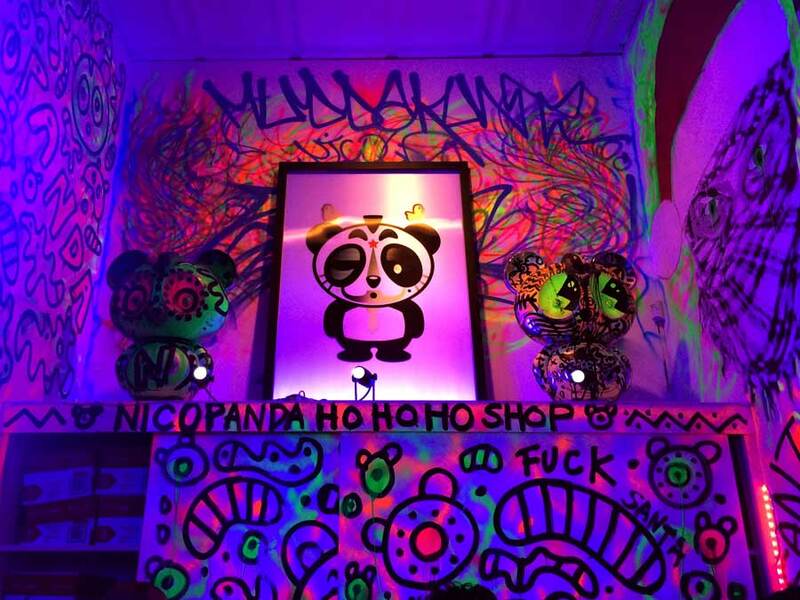 In an act of holiday defiance, newly appointed Diesel art director Nicola Formichetti’s studio has been transformed into a Nicopanda pop up store open for the holiday season. 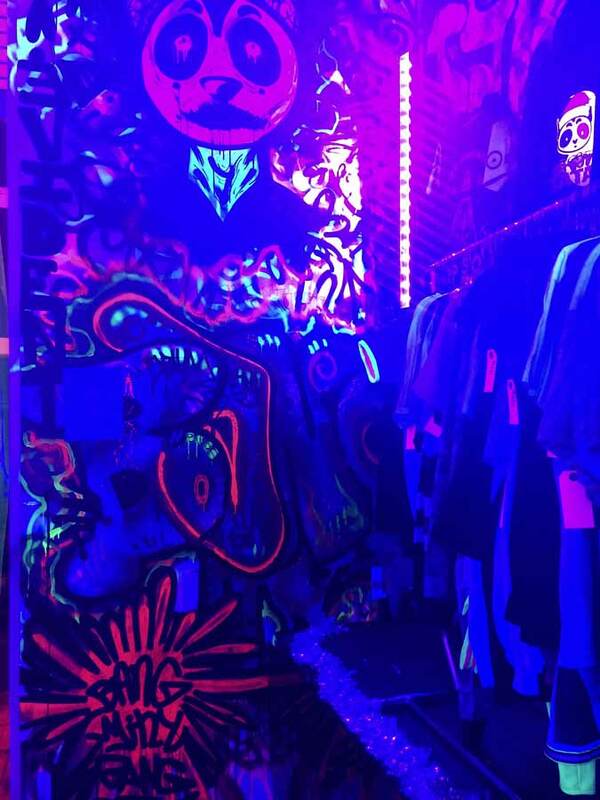 Envisioned by Formichetti’s assistant Prince Franco, the shop merges downtown culture, fashion, and performance into a collaborative space inspired by Franco’s childhood trips to laser tag arenas. Nicopanda inspired graffiti illuminated by black lights envelop the entire studio, creating a neon haven for downtown culture that offsets the neutral area of Tribeca. 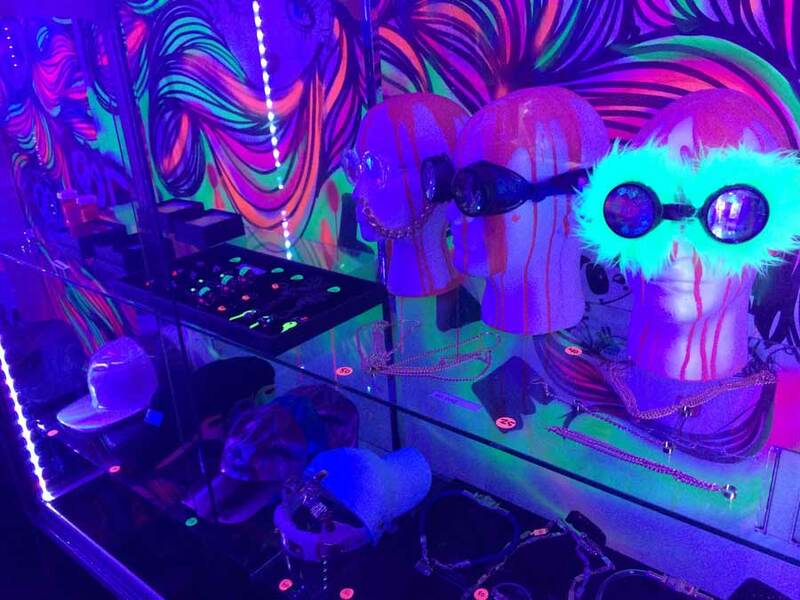 Along with the newly designed holiday Nicopanda gear, visitors can pick up last minute gifts from downtown designers such as Forfex, Illesteva and Baron Von Fancy. 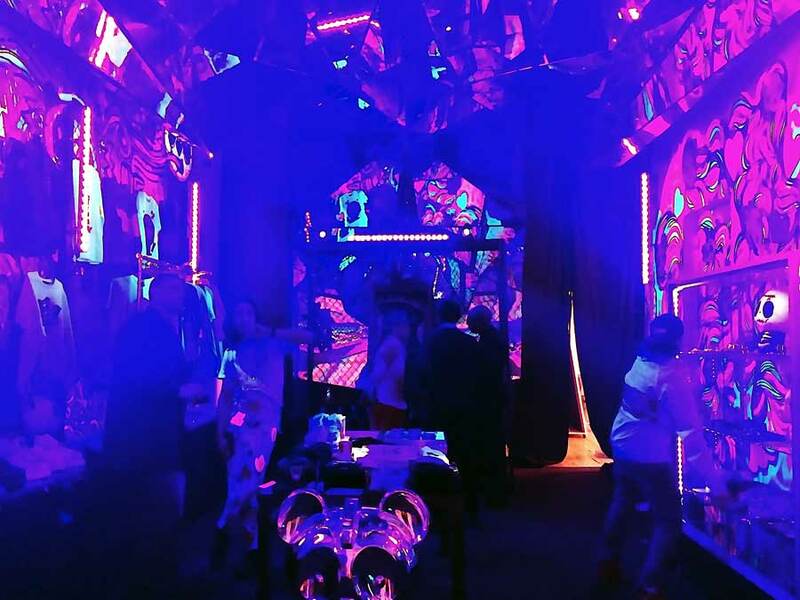 Performances by musicians such as Ian Isiah and Princess Nokia (Wavy Spice) as well as an in house production studio available to shoppers are just two ways in which the Nicopanda team is turning an otherwise linear activity into an all-encompassing event.